Daniel Caduff is what some people call a “Digital Native”. He’s the vice-Branch Manager of the ICT-Department in the Federal Office for National Economic Supply, FONES. During his study at the University of Zurich, he was working part-time for one of Switzerland’s biggest ISP. After finishing his study, he moved on to work in the consulting business. Issues like IT- risk management, IT-Trend- and market analysis or digital transformation were his daily business, among others. In April 2014 he took over responsibility for the National Strategy for Cybersecurity in Switzerland, NCS as a project leader in the FONES. 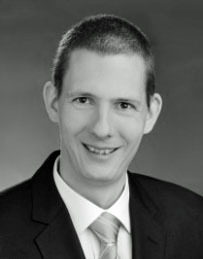 Since 2016, Daniel Caduff is vice-Branch Manager of the ICT-Department in the FONES, responsible to strengthen the resilience of the swiss ICT-Infrastructure and the protection of critical infrastructures against cyber-risks.